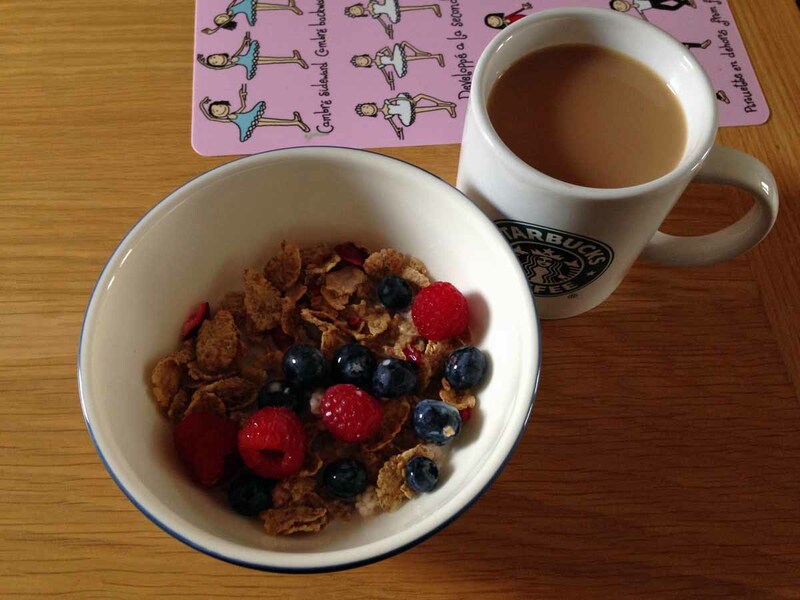 Special K Multi Grain Creamy Berry Crunch with semi-skimmed milk and fresh blueberries and raspberries. I have this quite a lot for breakfast as it is one of my favourite breakfast cereals. I drank a cup of Decaf PG Tips tea with semi-skimmed milk. 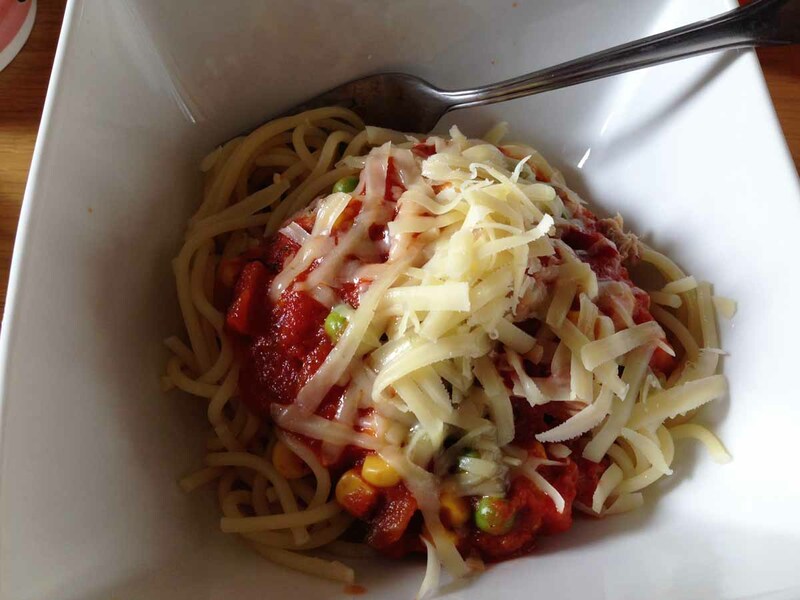 Not an adventurous lunch today, just tuna and spaghetti with peas, sweetcorn and medium cheddar cheese. Quick and easy, which is what I needed as Annabelle and I can eat it together without tantrums or fuss. She loves pasta. 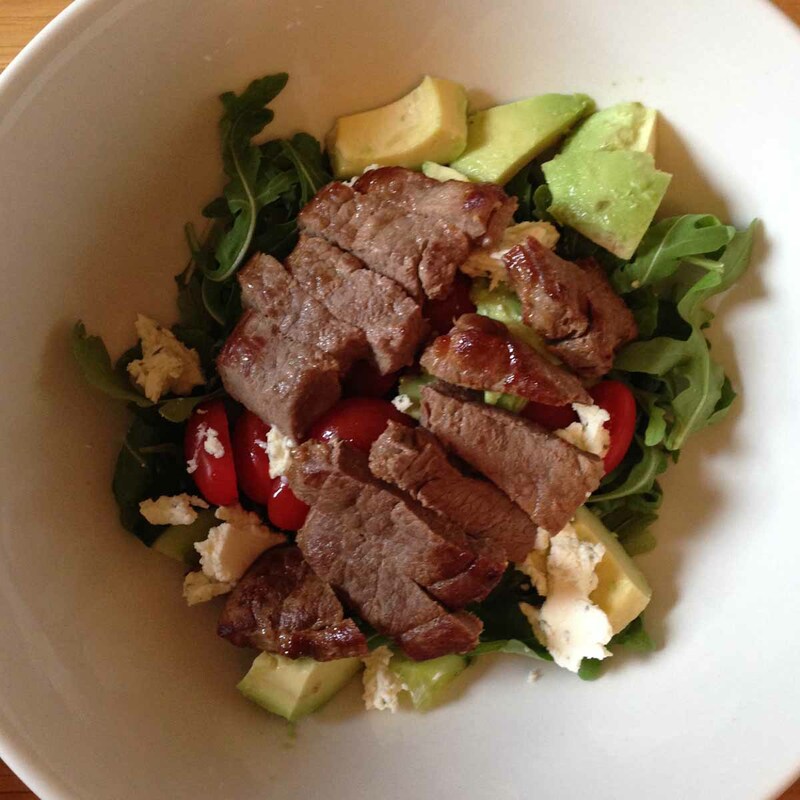 Pan-fried lamb steak with rocket, mixed leaves, tomato, cucumber, avocado and Boursin cheese. I added a tablespoon of Salad cream after I took the picture as I’m really craving that tangy taste at the moment! Andy is also addicted to avocados so we have had that quite a lot for dinner or lunch recently. I had a ham and cheese toasted croissant at Starbucks with a Grande Soy Decaf Caramel Macchiato but forgot to take a picture. Sorry! You eat very healthily. Nothing fried at all, don’t think I’ve seen any fried foods on Monday Meals 🙂 I’m not a huge fan of Starbucks because they everything they sell is so expensive. But I’ve always like their double chocolate chip fraps. I do like fried food but I tend to eat healthier food during the week and have takeaways on Friday or Saturday evening. It’s something Andy started two years ago as he is really into his fitness and diet. 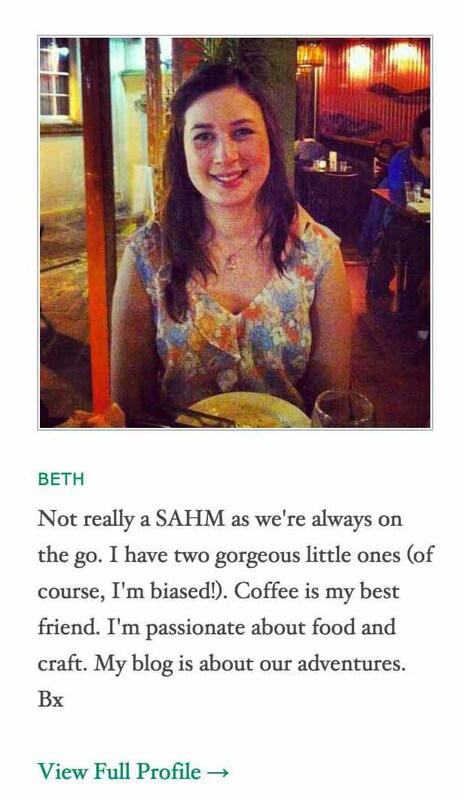 My weakness is definitely cheese and desserts. They are the most calorific part of my diet. I love Starbucks and their Caramel Macchiatos, hot or cold. It is my favourite coffee shop. Double chocolate chip fraps are very good. Mmmm.